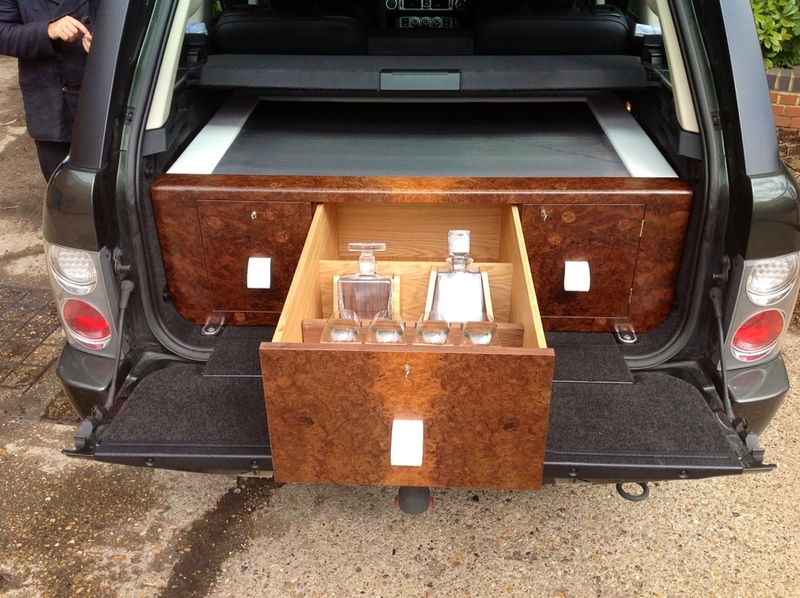 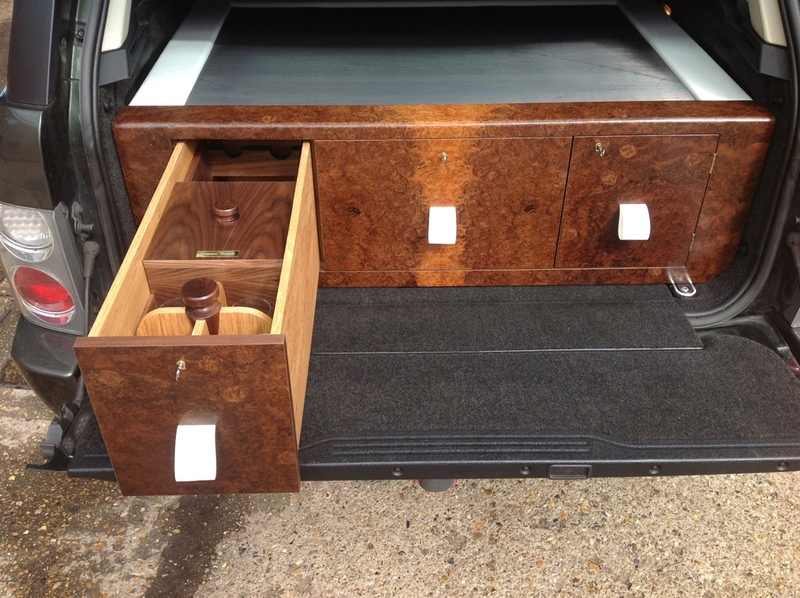 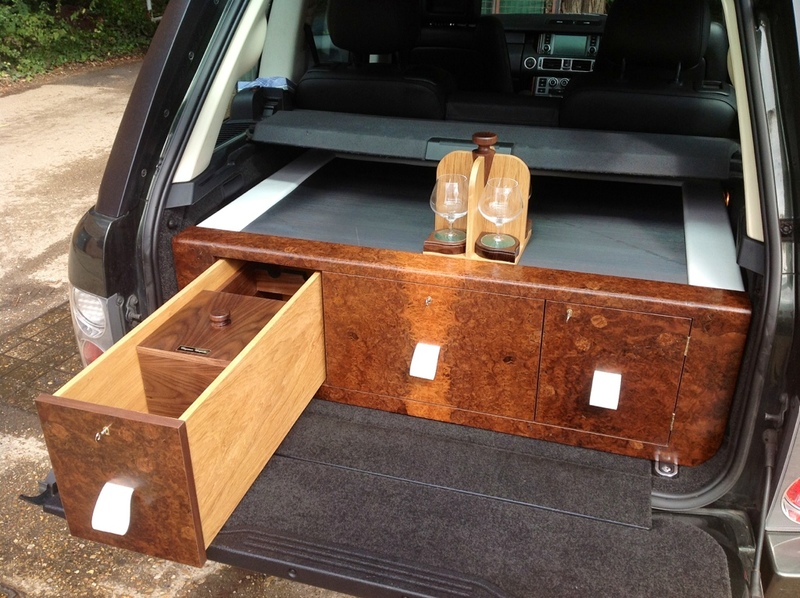 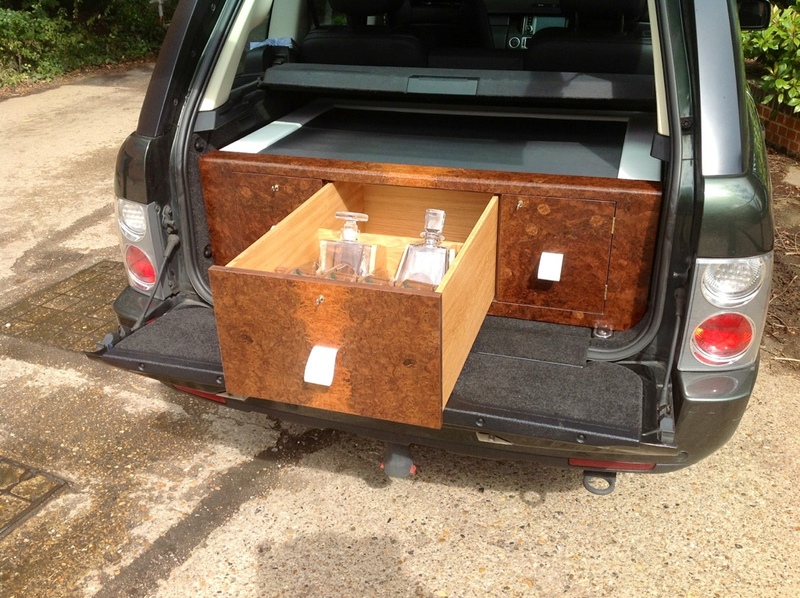 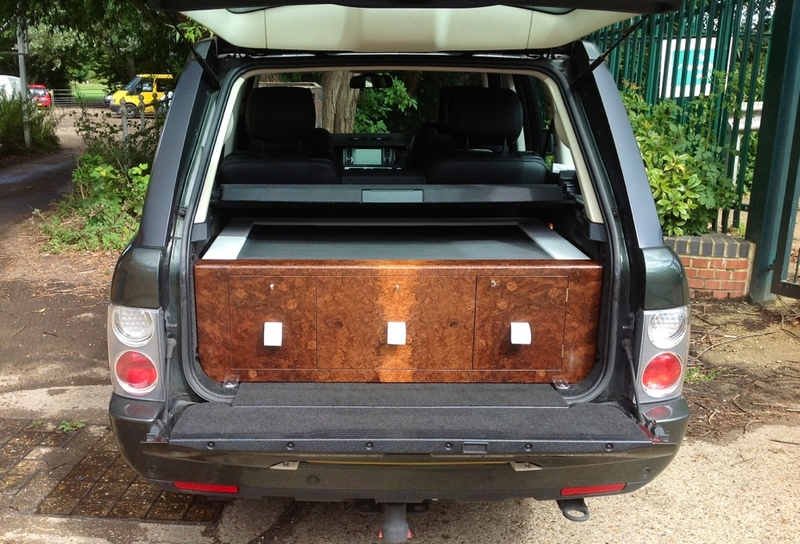 This bespoke burl walnut bootchest was made for a client who wanted it to fit in a Range Rover. 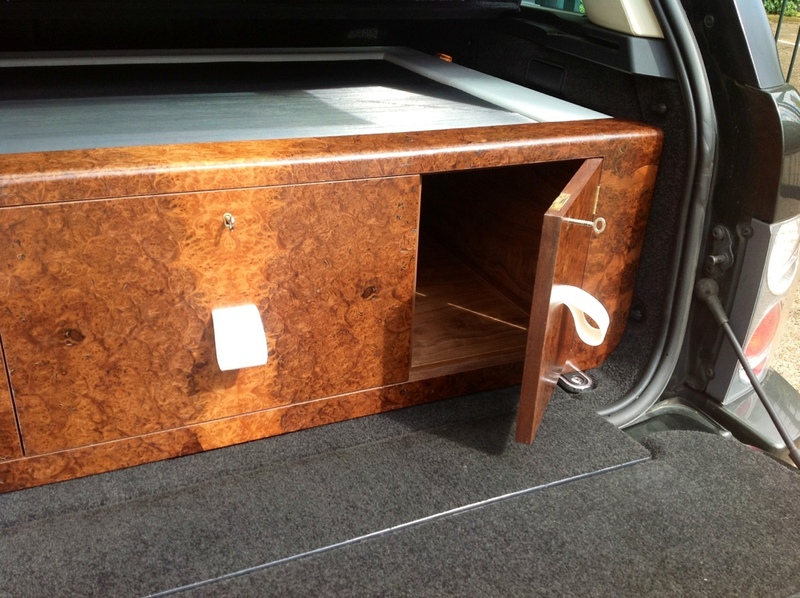 It has two drawers and one door, all lockable. 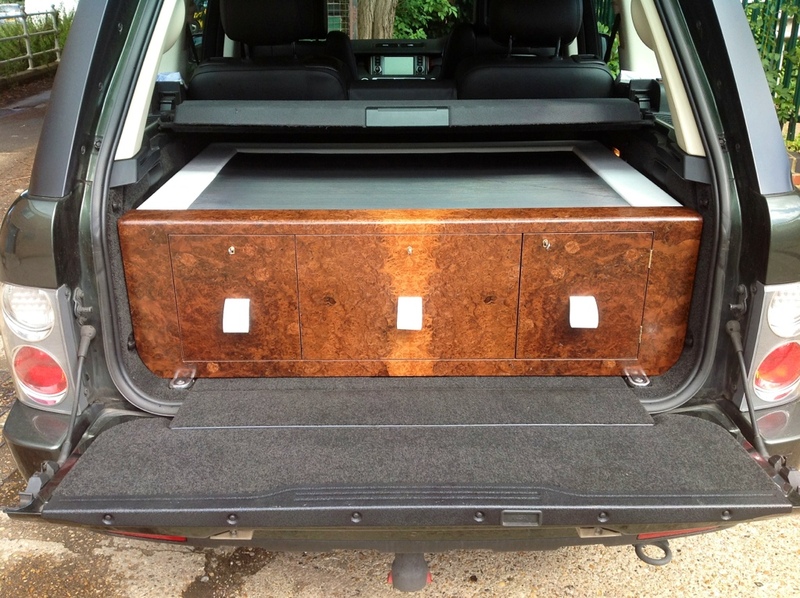 It has space to hold two gun cases. 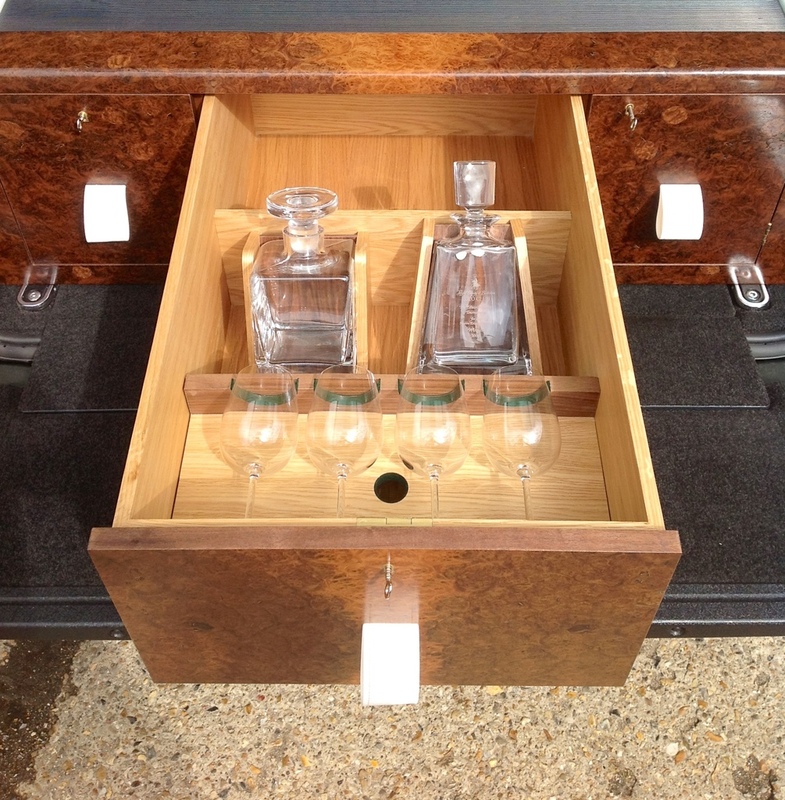 In the main drawer it has 2 decanters and 8 wine glasses with storage space for cartridges. 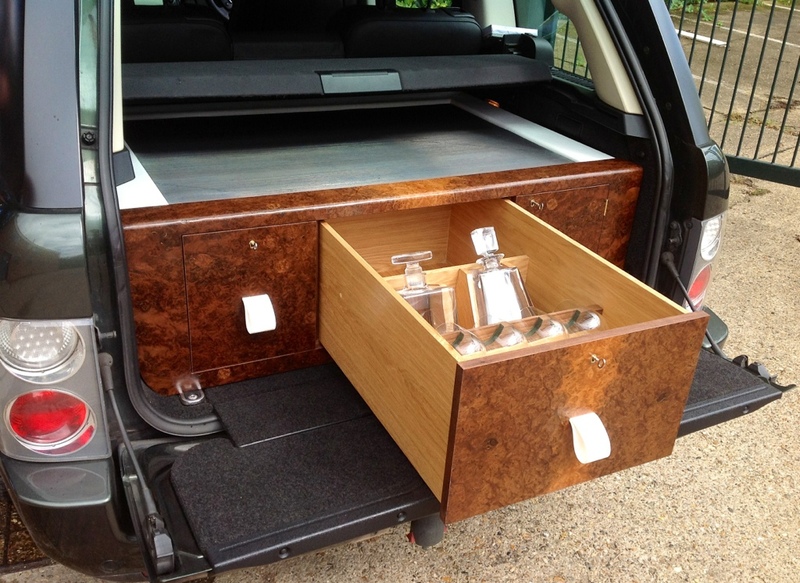 In the left hand drawer it has 4 brandy glasses, 6 champagne flutes and storage to hold four wine bottles.